Julie Hamp leaves the Harajuku Police Station in Tokyo. 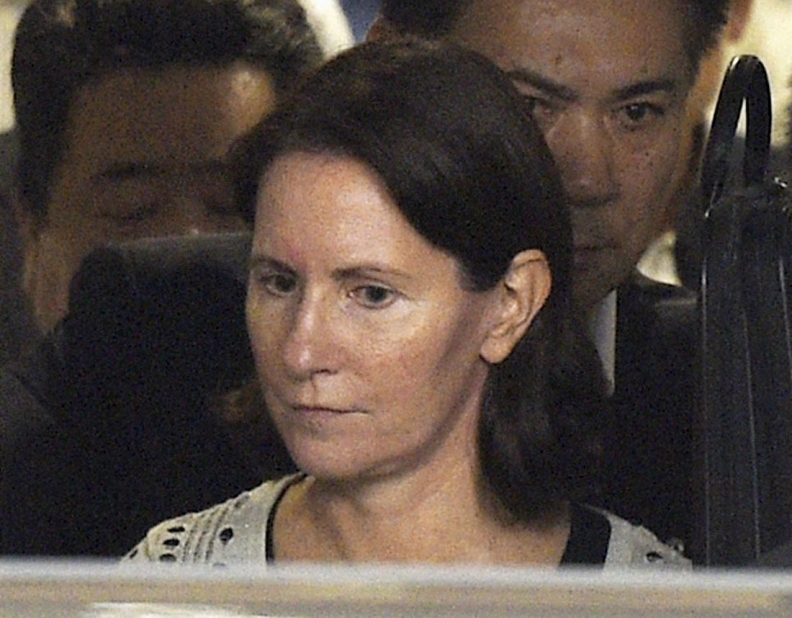 TOKYO -- Former Toyota Motor Corp. executive Julie Hamp was released from custody in Japan today without being charged, following her arrest last month on suspicion of illegally importing the painkiller oxycondone. Toyota, which accepted Hamp’s resignation last week, said it had appointed Senior Managing Officer Shigeru Hayakawa to take over Hamp’s role as chief communications officer. A Toyota spokesman confirmed Hamp’s release without prosecution and said the company has no plans to hire her back in her former role as managing officer. The spokesman did not say whether she might return to Toyota in another position in the U.S.
Hamp’s release caps a 20-day ordeal that began with her June 18 arrest at a Tokyo hotel for allegedly importing the narcotic in an apparent violation of Japan's strict drug laws. Just three months earlier, the American public relations specialist was named the company’s first senior-level female executive. Her promotion was part of a wider push to build a workforce more representative of Toyota’s global customer base. Japanese media had earlier reported that prosecutors planned to release Hamp without indictment, saying prosecutors found little criminal intent in the case, in which a family member had allegedly mailed oxycodone pills to her to alleviate knee pain. The Detroit News first reported earlier today that the U.S. ambassador to Japan, Caroline Kennedy, had brought up Hamp's case with the Japanese Foreign Ministry. Kennedy also advised Toyota officials on the matter, USA Today reported. A State Department spokeswoman declined to comment on the matter to USA Today.